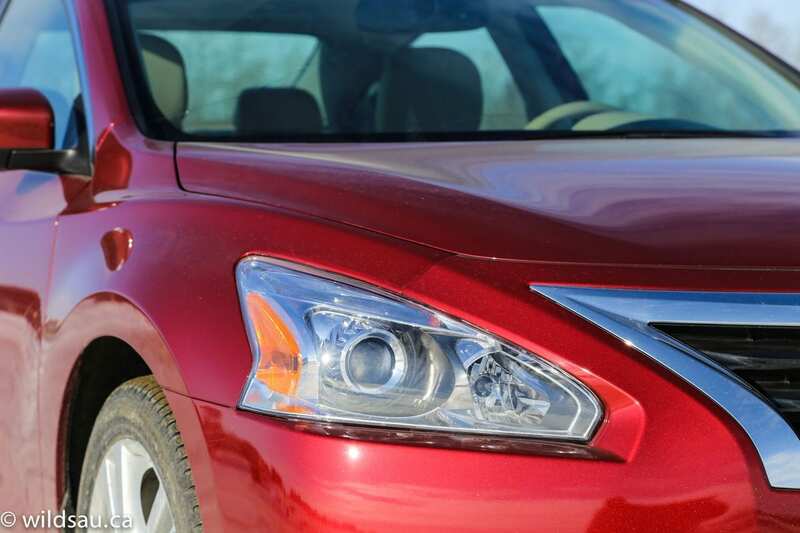 Nissan’s bread and butter sedan recently underwent an overhaul, and it’s mostly good stuff. 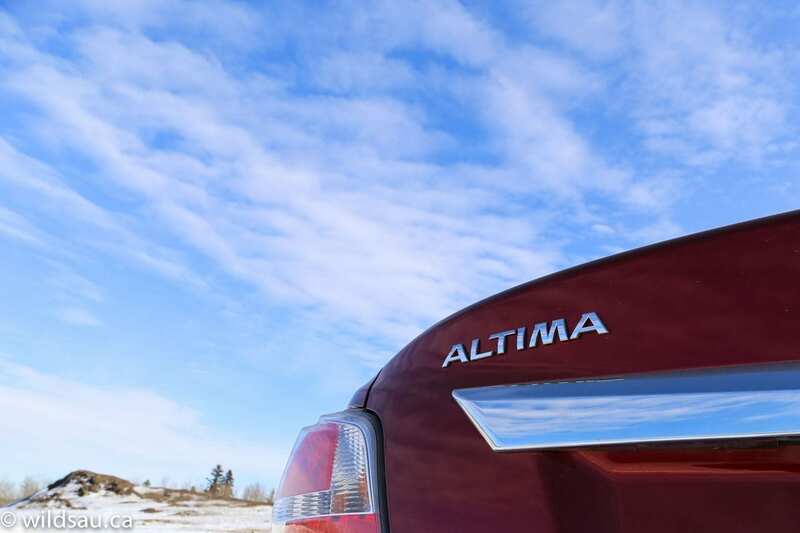 This is a highly competitive segment, and the Altima has to fight off established warriors and perennial best-sellers from the likes of Honda, Toyota, Hyundai and other players. 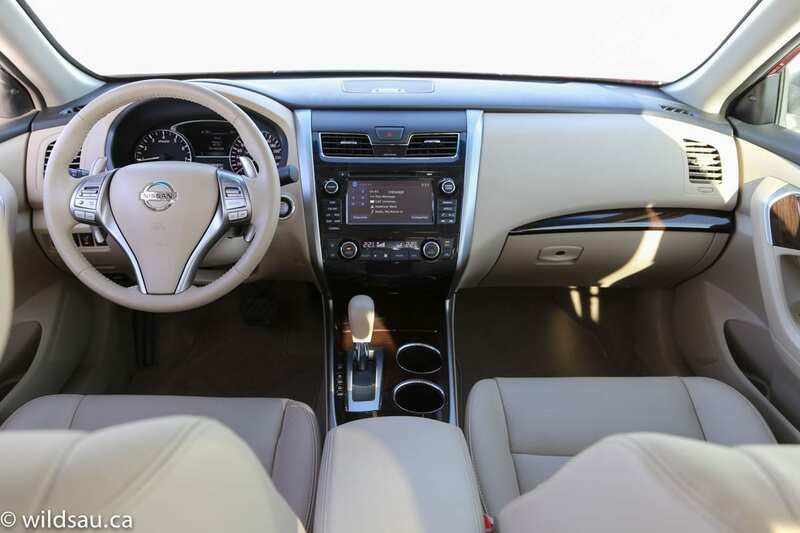 Nissan sent me a totally loaded, top of the line Altima this time around. You couldn’t mistake this for anything else. 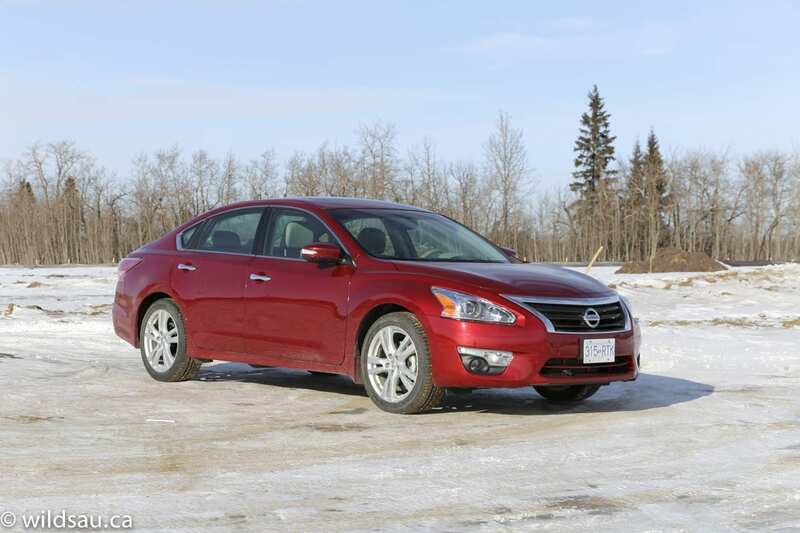 Nissan kept the Altima’s lines in place, but made it more fluid and flowing. 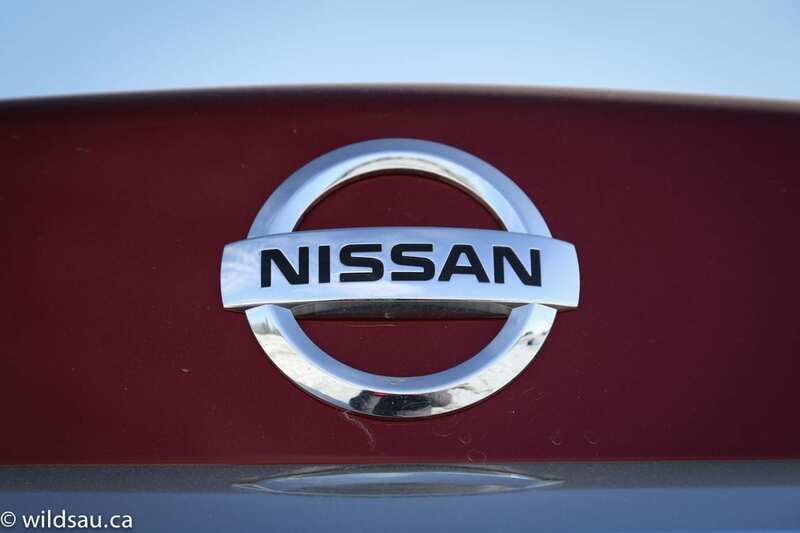 Nissan’s corporate snout can be found at the front, along with big, swept-back headlight pods. The rear end gets some handsome updated styling as well, complete with LED tail lights and dual exhaust tips. 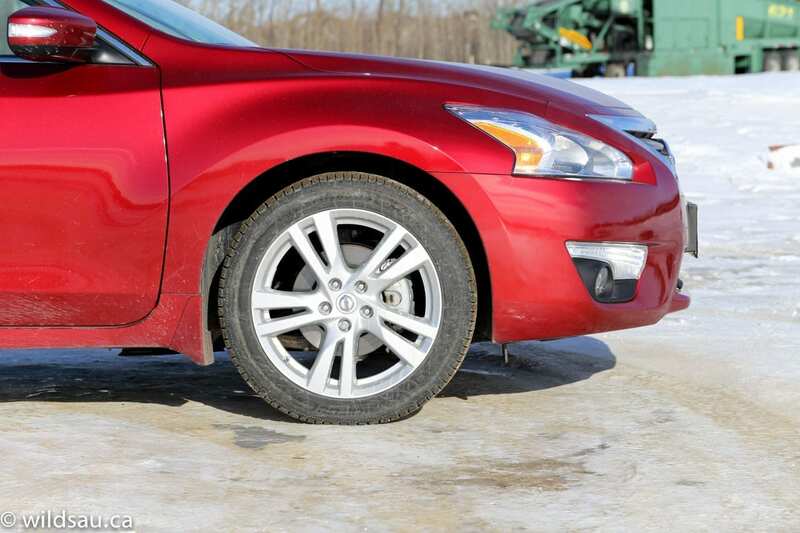 The fenders are filled with massive 235/45-sized boots wrapped around very nice 18-inch rims. 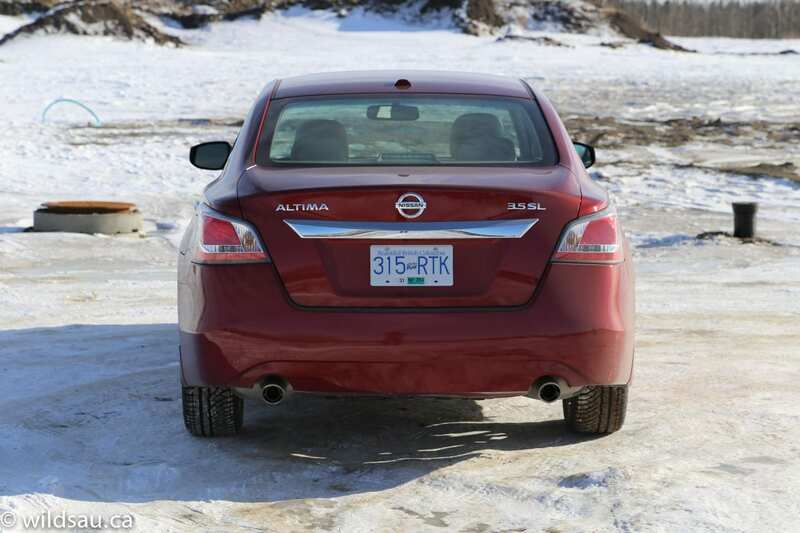 Does the Altima stand out from the crowd? Not a chance. But then again, nothing in this class does. Is it pretty ho-hum in terms of its looks? Yes. I think it’s a nicely styled vehicle, but it’s unlikely to get any second looks driving down the street. The inside gets a much-needed upgrade too. This trim has a very nice two-tone interior – its simple lines and styling is pleasing to look at. The upper dash is hard plastic, whereas the lighter-coloured parts are made of nicely textured, soft-touch materials. 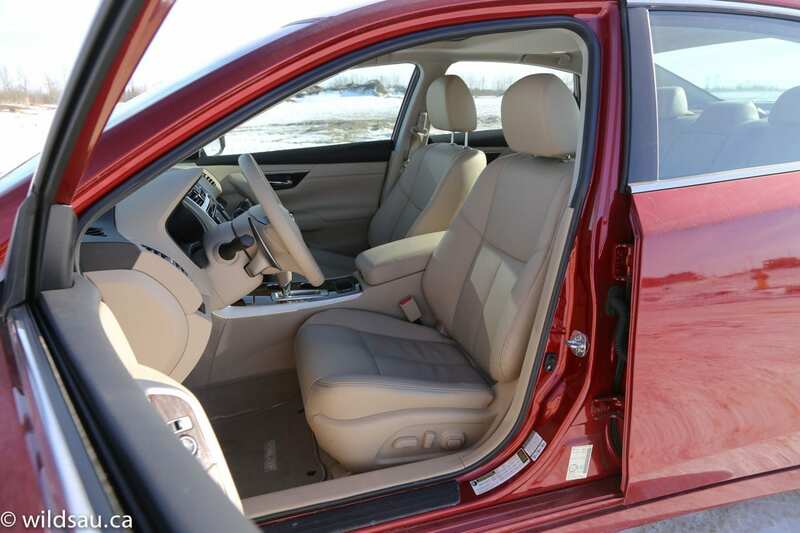 The power-adjustable and heated leather seats were very comfortable – more about the heating later. 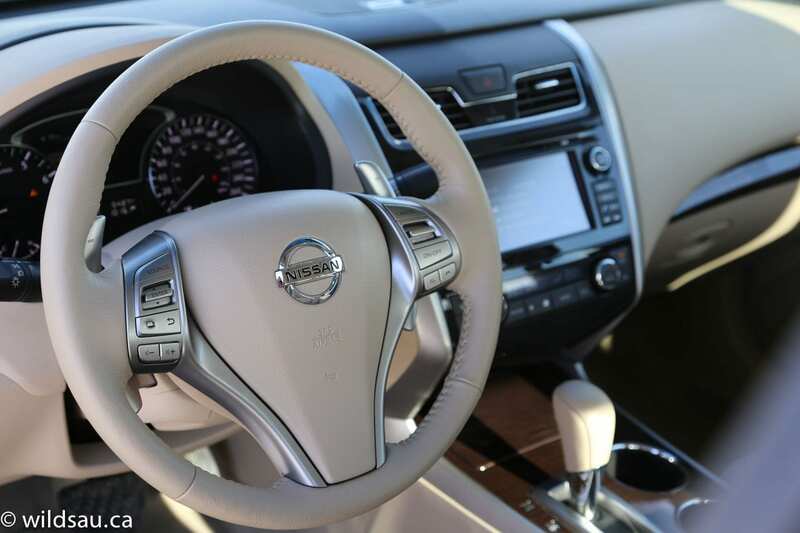 The heated steering wheel came in handy on the cold mornings – it has buttons for cruise control, phone, media and your excellent driver information screen. This useful, easy-to-read 4.3-inch screen resides between the two main gauges. 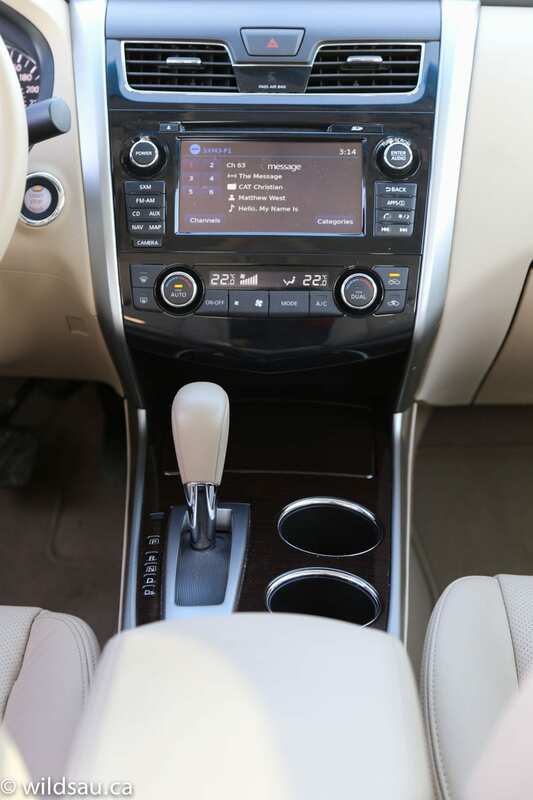 On the dash sits the 7-inch touchscreen that manages your media, phone, navigation and vehicle settings. The user interface is decent, but I found the voice recognition to be spotty at best. 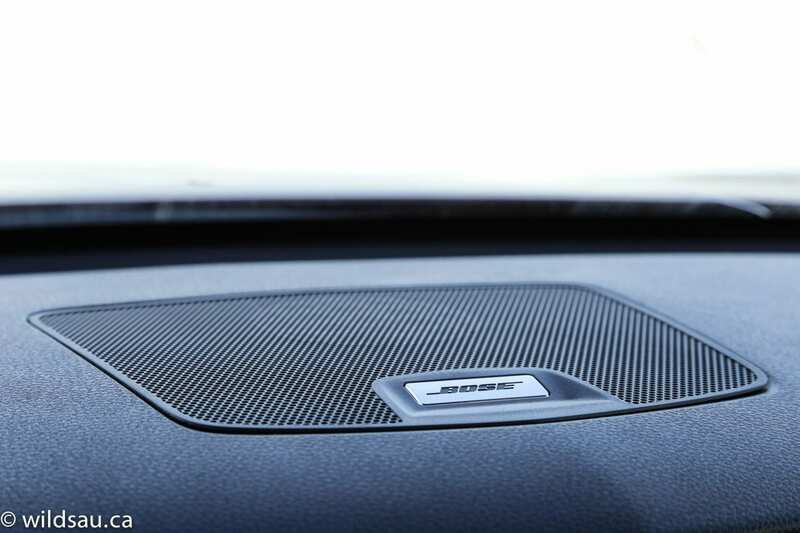 The BOSE sound system sounds very good – AM, FM, satellite, USB, auxiliary and CD sources are all there for you. Underneath it is a dual-zone automatic climate control system. A standard sunroof is overhead, and access is keyless. 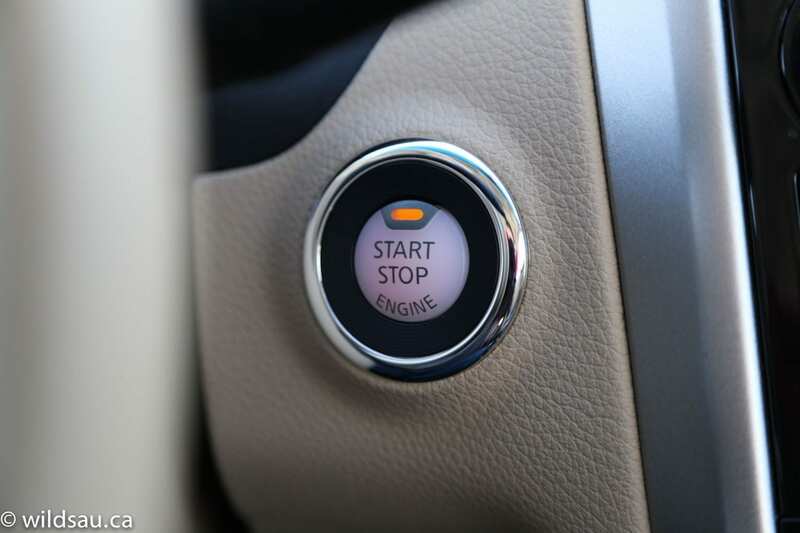 Your ignition is push-start, and this trim gets a handy (and very long-range) remote starter. 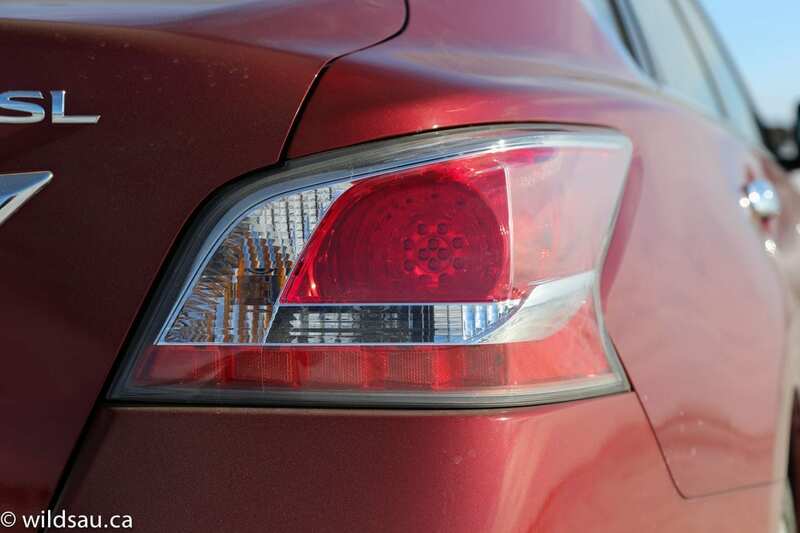 I was impressed by the driver assistance technology here – there’s Moving Object Detection (MOD), Blind Spot Warning system and Lane Departure Warning, as well as a backup camera. Head room isn’t great. I’m 5’10”, and my carefully-coiffed noggin was sneaking up quite close to the ceiling. Legroom however is fantastic. 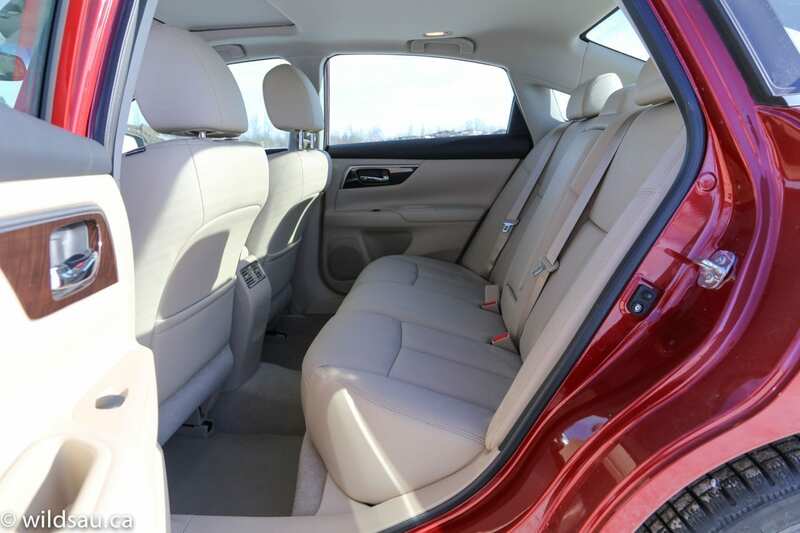 It’s very spacious in terms of rear passengers’ knees and feet. There’s a decent glove compartment, acceptable door bins and a dual-level storage bin under the armrest lid. At the front of console is a pop-up lid, exposing a shallow carpeted storage bin as well as the auxiliary, USB and 12V plugs. 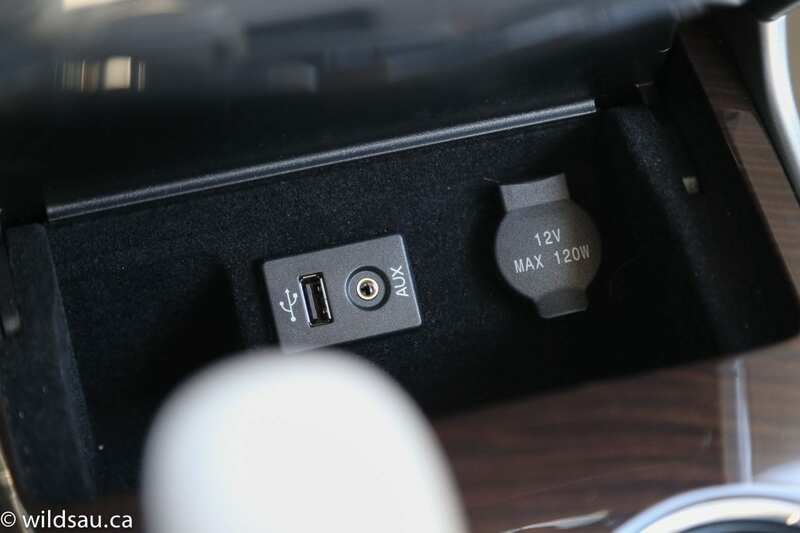 Unfortunately the angled plugs are near the surface, which will prevent you from closing the lid if you’ve plugged things in – I find stuff like this irritating. 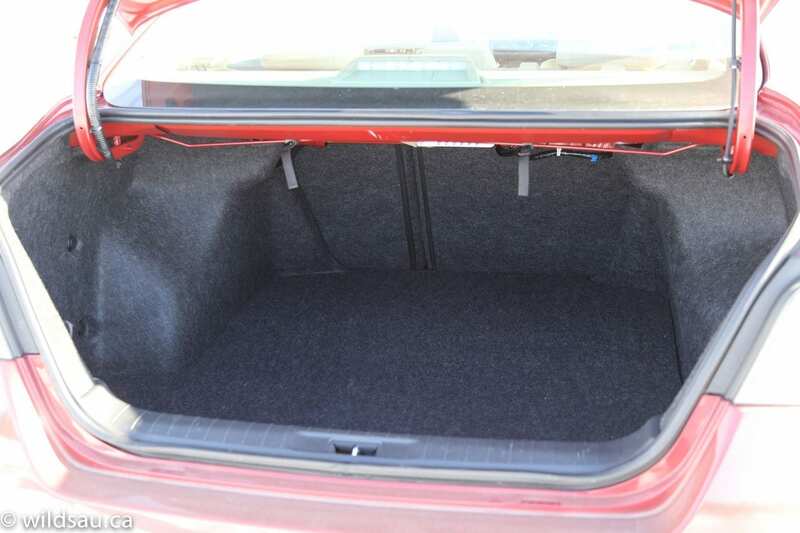 The trunk is useful at 436 litres, and the rear seats split 60/40, allowing you to fold them down to create more space if you need it. 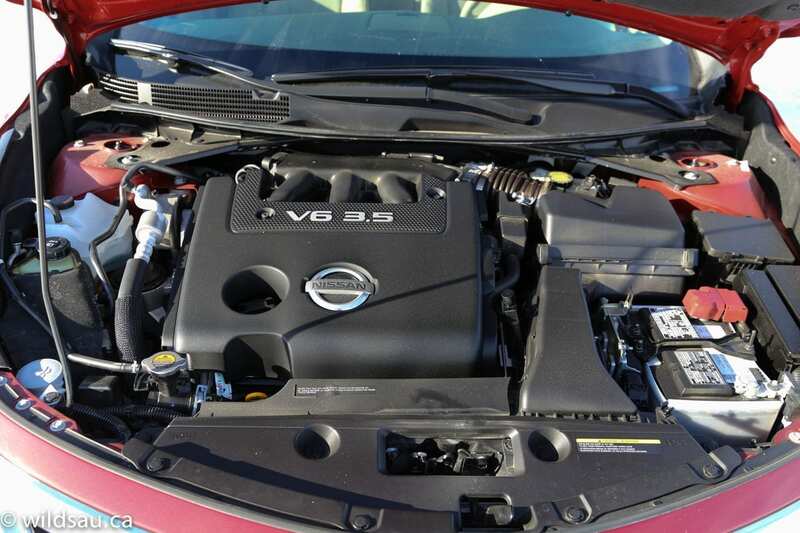 This is the top of the heap drivetrain – powering things is a big 3.5-litre V6. 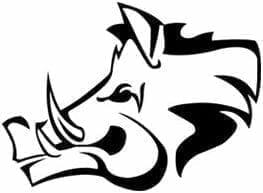 It comes up with 270 horsepower at 6400 RPM and 258 lb.ft of torque at 4400 RPM. 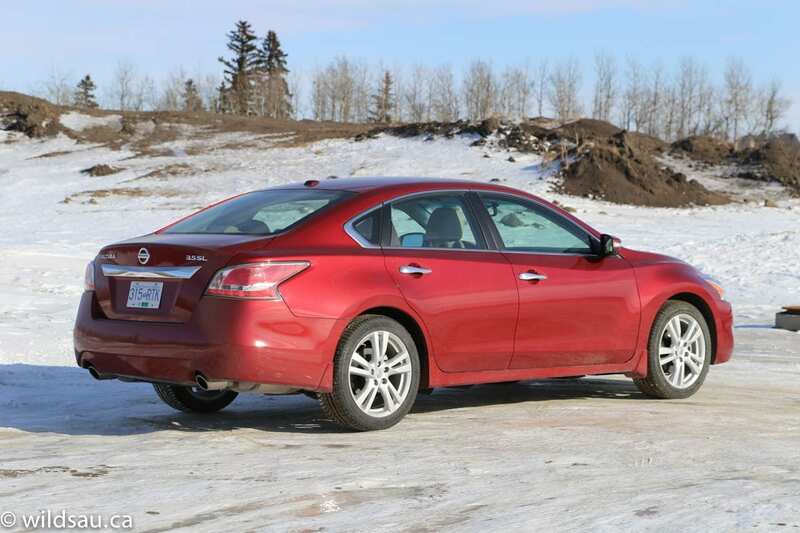 You shouldn’t be surprised to find a CVT, and of course the Altima is front-wheel drive. Fuel economy is reasonable for a powerful sedan – it’s rated at 9.4 L/100 km (25 mpg) in the city and 6.2 L/100 km (38 mpg) on the highway. I averaged 10.9 L/100 km (22 mpg) during a cold week, mostly slower city commuting with a few freeway jogs and a few lead-foot tromps on it to take advantage of the big horsepower. Not bad at all. I liked the bigger-than-average 68 litre tank. This heaviest of all Altimas weighs in at only 3360 pounds. 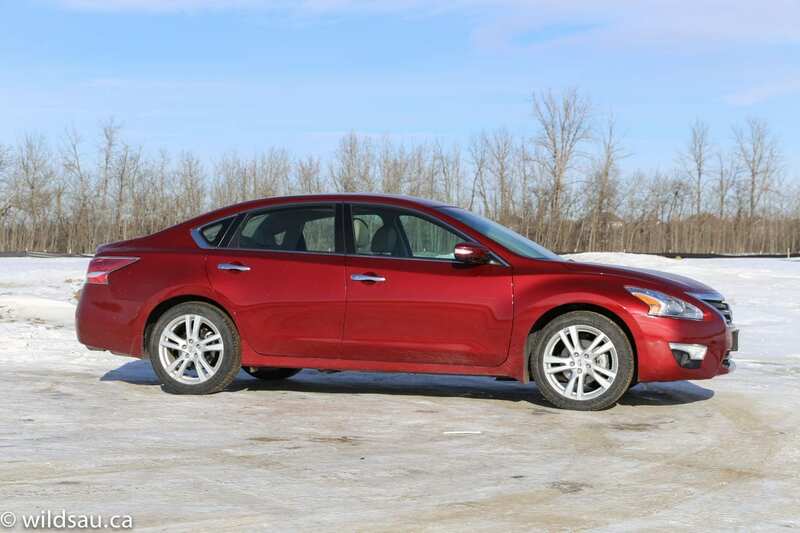 There is no question – the 3.5 Altima is fast. The bigger engine provides plenty of power for any situation, and it’s as snappy on the highway as it is off the line. The CVT is good, although I found some significant engine/drivetrain noise under load. The transmission seemed to be effective at finding the right ratio for each situation, but it can also be shifted manually with paddles, which let you access 7 simulated gear ratios – very quickly. It also gets a sport mode. The ride is good – the car soaks up big hits quietly, yet remains firm enough to feel controlled. Occasionally there were some serious road imperfections that threw it for a loop, sending a big crash through the car, but I think any other car would have had the same issue. For this class, handling is good but not outstanding. It’s not a playful car, but it will comply when you need to send it into corners with some haste. There was a bit of road noise, but it’s not bad at all. I found visibility out of the car to be good, and the brakes felt very powerful and easy to control. I have to say, the Easy-Fill Tire Alert – a system that honks the horn when your tire is filled to the right pressure – is just a fantastic idea. I had to try it out and love it! I don’t know what criteria the seat heater engineers were using, but the high setting could likely be used to bake bread. It gets unbelievably hot. Considering how cold it was when I had this car, I’m not making this a nitpick – it was welcomed. I noticed a tinny sound and vibration inside the cabin when I closed the doors. Frankly, it sounds cheap, and that’s disappointing. 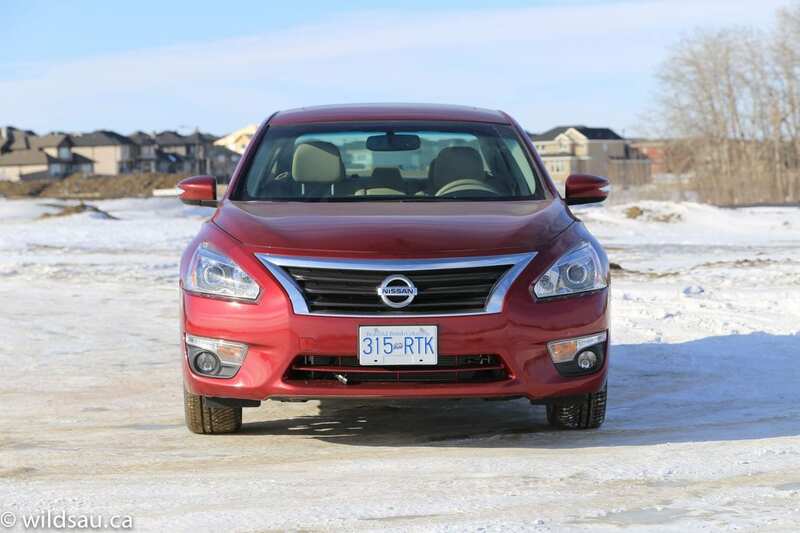 The Nissan Altima is a good car, and considering it’s loaded up, it’s a decent value too. It’s nice to look at, inside and out, but in the end, it’s unremarkable. I don’t think it’s a car that anyone is going to get excited about, yet it remains a viable competitor in this class, which is, as already mentioned, crowded with players. 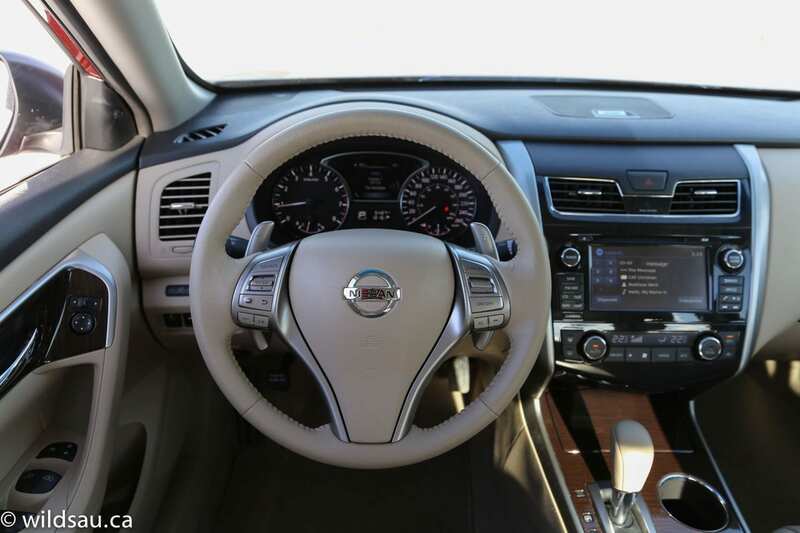 I give the Altima a 7 out of 10. 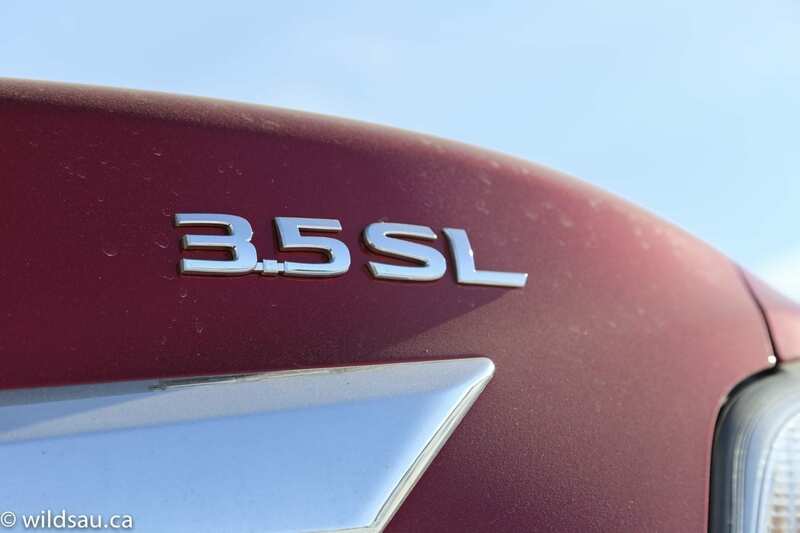 If it were my money, I’d stick with this trim level, but step it down to the 2.5. That combination provided plenty of go for almost any driving situation and saves you money at the beginning and at the gas pump. WAF (Wife Acceptance Factor) was quite high. She thought it’s a good-looking car and liked how it drove, except she felt that the ride was a bit firm and too jiggly over some of the ice-packed streets.